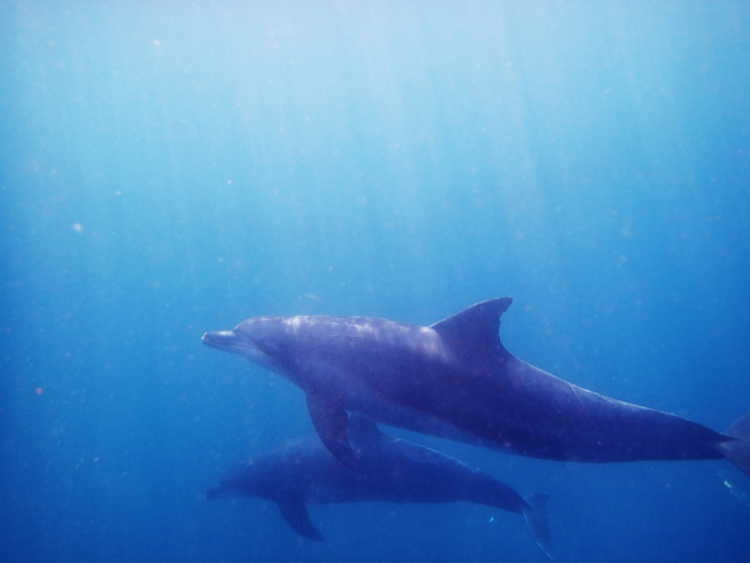 Mikura Island is a popular spot of dolphin swim you can play together. They say that the less-storm season from March to November would be the best. I met very friendly dolphins swimming very close to me.◎Dolphin tour is available at Mikura Island and also nearby Miyake Island. Some shops can lend three-goods (fin, mask and snorkel) and wet suit. For you can't stand on the sea bottom, you need to practice beforehand, such as mask clear, snorkel clear and in the case of a cramp in your legs. You can access to Miyake Island and Mikura Island by ferry and air route.